As a kid there’s a novelty in someone asking you to do a job for some pocket money. It’s a celebration, giving first tastes of independence and new found choices and options. Suddenly, a reliance on known variables, such as whether Mum or Dad is in a good or bad mood, or whether the lawn has grown enough from last Sunday to line the pockets again. For me, car washing was a novelty. Except when it was Dad’s delivery van. The sheer real estate of those big fat square panels made no amount of spongeing and buffing bring out any character. Apart from the footprints on the roof. One fine day opportunity met buff. A couple that lived down the street provided me with the question a nine year old wouldn’t cast a shadow at. 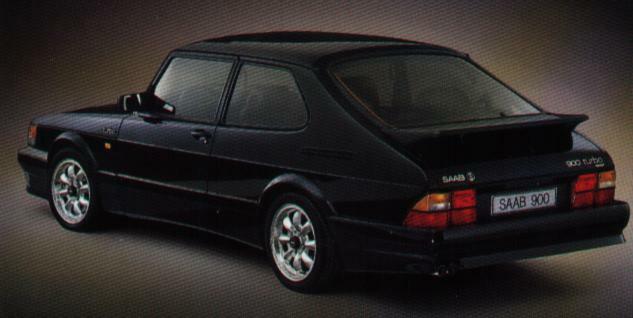 Robert and Manja owned twin Saab 900s, the three-door turbo model with the swoopy rubber spoiler for He and the five-door for She. Over three years every weekend I got to know those two cars by every square inch. Each Sunday at 8am I’d gather my tools of trade, a rickety wooden stool to reach the roof, a bucket and sponge and my make shift window squeegee which happened to be the 15cm long off-cut of a door draft sealer. Basically a strip of aluminium that held a flexible tapered rubber strip. This was my dressing tool to make those windows disappear from sight. It always started the same way. I’d place the wooden stool abut the tall 6ft high fence and reach up to press the buzzer. Robert would greet me along with the two dogs. Into the laundry, start filling the bucket then hose down the cars in time for the bubbles to spill over into the sink. Always starting with the roof, I’d reach precariously into the middle of the roof and swoosh the sponge in circles. The stool would wobble and the wet patches forming on my elbows were the worst surprises in winter. My favourite was always the headlights. The miniature electric wiper blades that stood proud of the headlamps entertained me, after all they were probably more my size. Those and making that swoopy spoiler look like it was ready for race day. It all started out at $3 per car. Over time I refined that process within an inch of its life. From over an hour for the two cars I got it down to 30 minutes and a small spill off the wooden stool on a bad day. Bonuses came in the form of referrals. Some weekends six cars would be lined up out front as guests arrived for a breakfast catch up. At one point I even contracted labour to help, but had to lay him off when after a four-car session, the owners returned to even dirtier cars than before. My help had thrown the bucket of sudsy water back over the cars as a rinse. Almost cost me my enterprise that moment. Scaling back after that setback, I focused solely on the two curvy Saabs and the odd contract job in the next suburb. My rates had exploded 17% from $3 to $3.50 per car, and time on-site had halved. I was semi-professional, at 11, at least I thought. Things were good. I was building a retirement nest egg. Then came the day. My bosses asked me to change work practices, more labour, same rate. My clients had got the customer service bug and wanted the interior cleaned as well as the outside for the same fee. It was a deal breaker for me, I’d done the mental sums, the interior would take forever, probably more than double the time, but mostly, I hated vacuuming. I didn’t have a BATNA, didn’t even know what that was back then. A counter offer was proposed, $7 per car. After a lengthy discussion, probably 5 minutes in reality, we couldn’t reach a resolution and the status quo was no longer an option. I gathered my work equipment and walked through those big gates one more time, bidding the Saabs, the dogs and Robert farewell. I’m pretty sure tears streamed as I bolted home. The confusion of what just happened caused an internal conflict. I wondered how the outcome reached could be so disappointing. No one was better off, in fact everyone lost. Somehow my independence had grown even stronger from an interaction that had worked interdependently for a good two to three years. It was hard to see clearly the chain of events, never mind the undiscovered and unexplored alternative choices and options. Occasionally I’d wander by that buzzer and think about whether there was another option, but I’d already taken on other work and grown taller. There’s still a certain pleasure in seeing gleaming metal emerge from under road grime and dust amid the reminiscent smells and sensations of soapy water on a Sunday morning.